Brilliant luster, Rust-resistant material, Durable construction, Easy to maintain. Beyond the A-Z protection, 100% satisfaction guaranteed program. If you don't like lightweight flatware please don't buy. 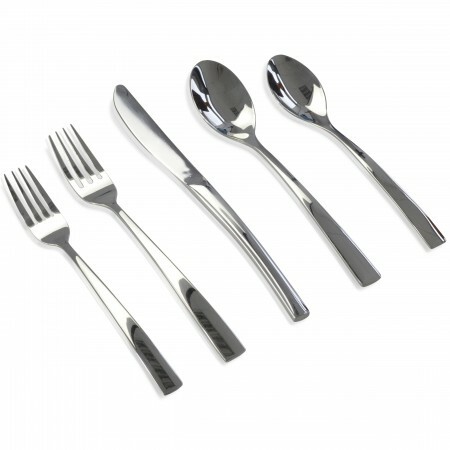 4 Dinner Forks 4 Dessert Fork 4 Soup Spoon 4 Dinner Knife 4 Teaspoon 18/10 stainless steel. Brilliant luster, Rust-resistant material, Durable construction, Easy to maintain.